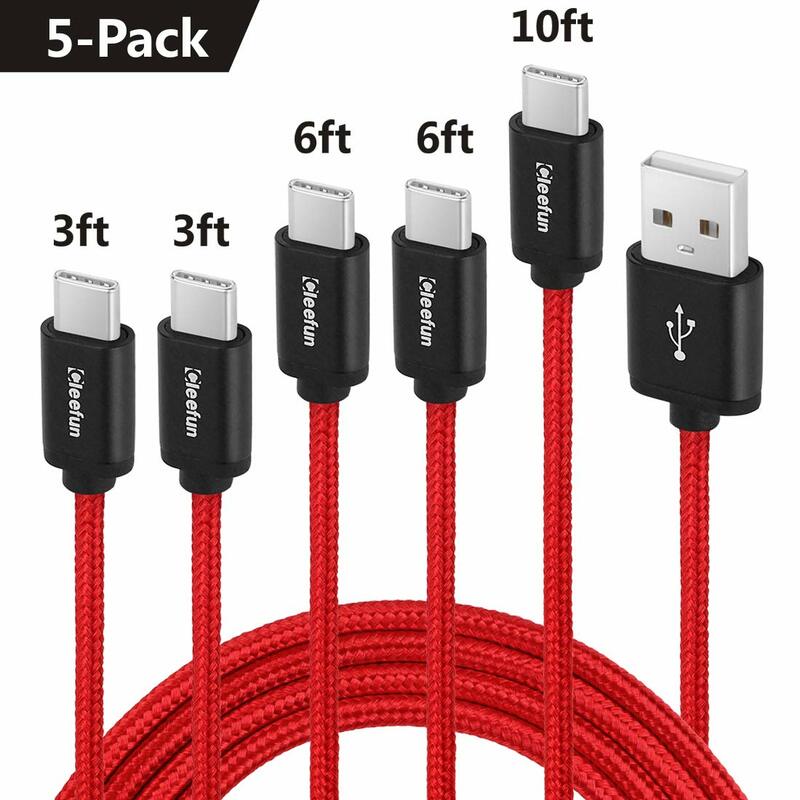 【MULTI-SIZE,5 PACK,3FT*2+6FT*2+10FT*1】: 5 pack usb c Cables with different length are perfect charging for your power bank, travel, office, cars, at home or outdoor. 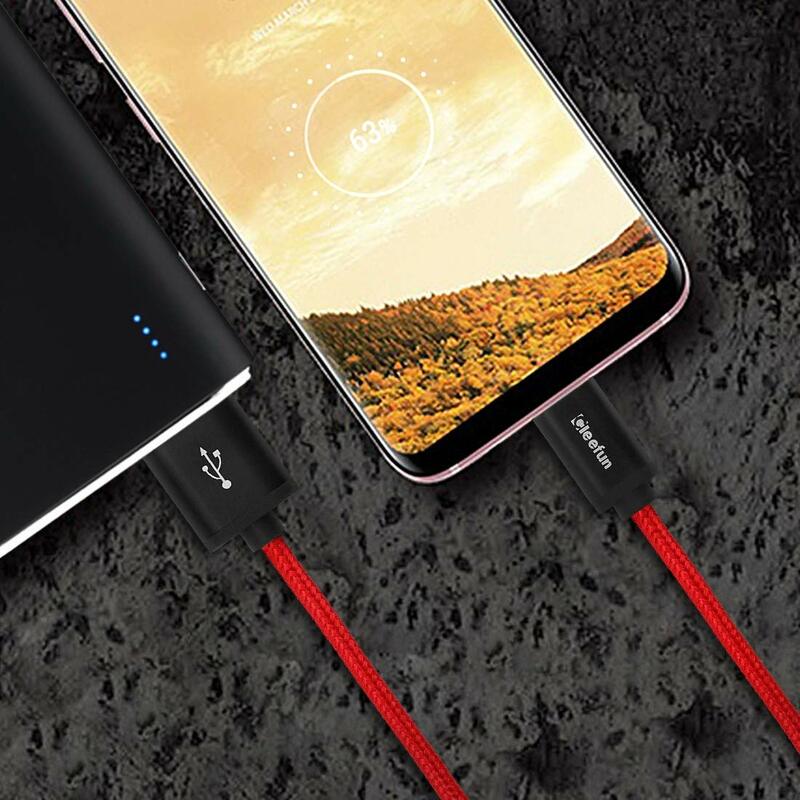 Multi pack for your convenient fast charging with best price. 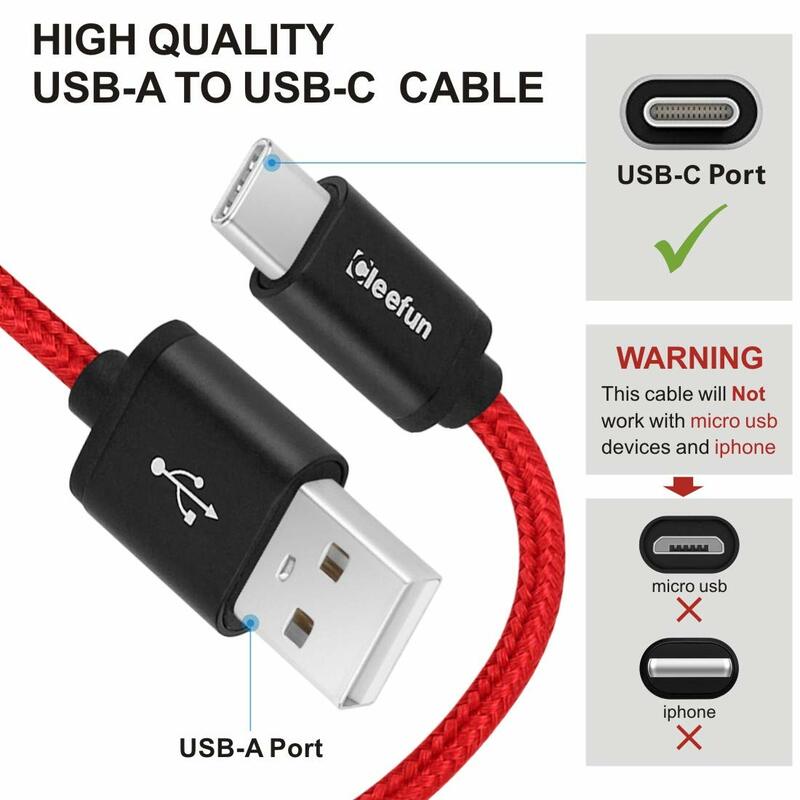 【FAST CHARGE & DATA TRANSFER】: Cleefun usb-c cable can be used to connect your computer, phone charger,car charger etc.USB-C Cable transfer speed up to 480Mbps,2.4A Fast Charger, Data Transfer and Power Charging 2 in 1. 【18 MONTHS FREE QUALITY GUARANTEE】: Cleefun promise you the reliable quality guarantee for you, please contact our service team in time if you need. 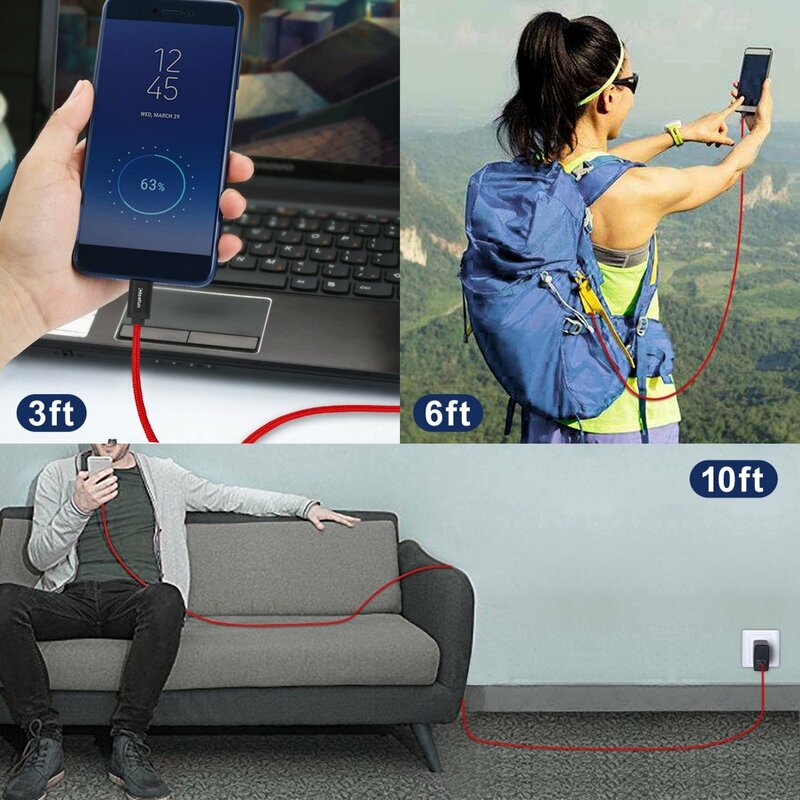 ● Different lengths for your different charging requirements. 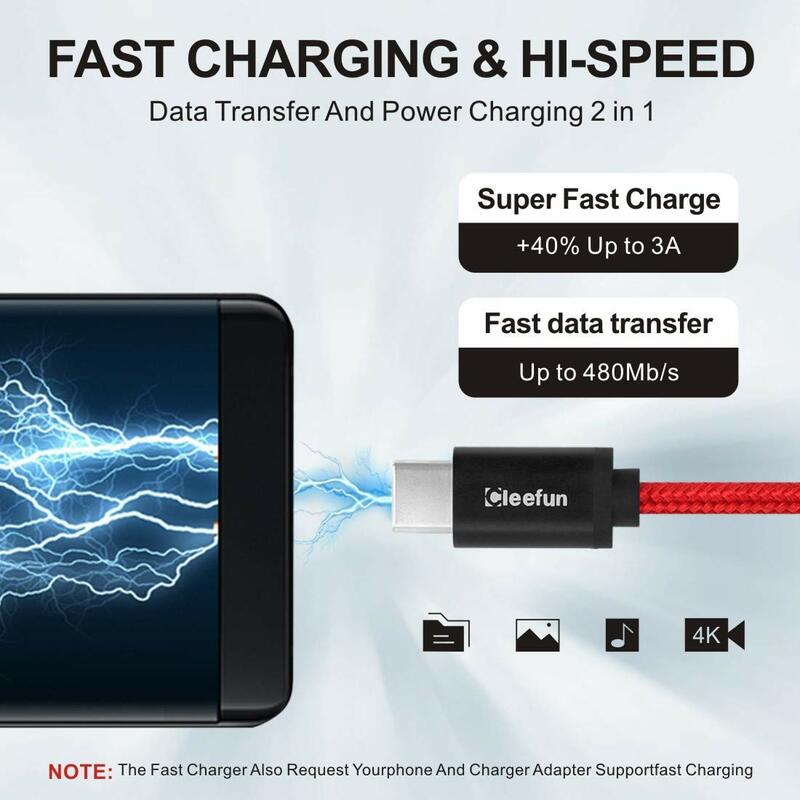 ● Super-fast charging & data transfer to save your much time. 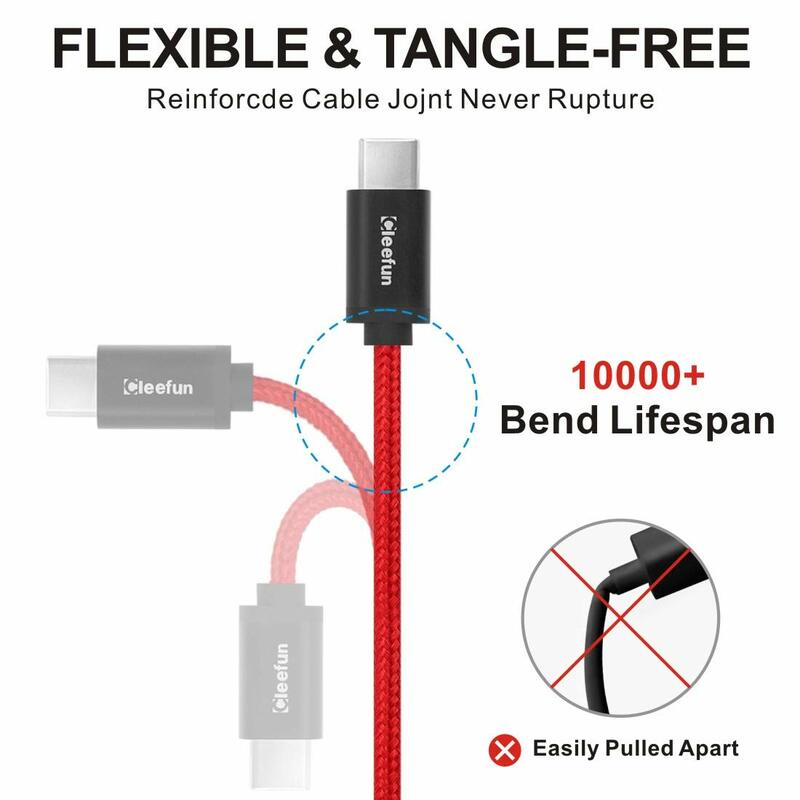 ● Tangle-free nylon braided jacket make thetype c cable more durable, flexible and sturdy. 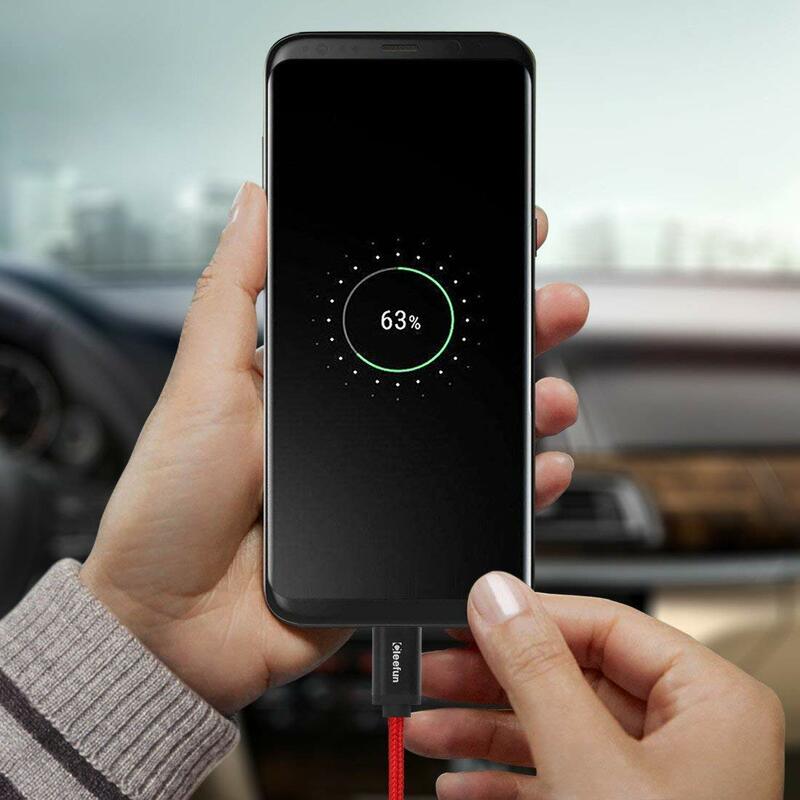 ● Reversible connector can be plugged in bothways,for your convenient charging. 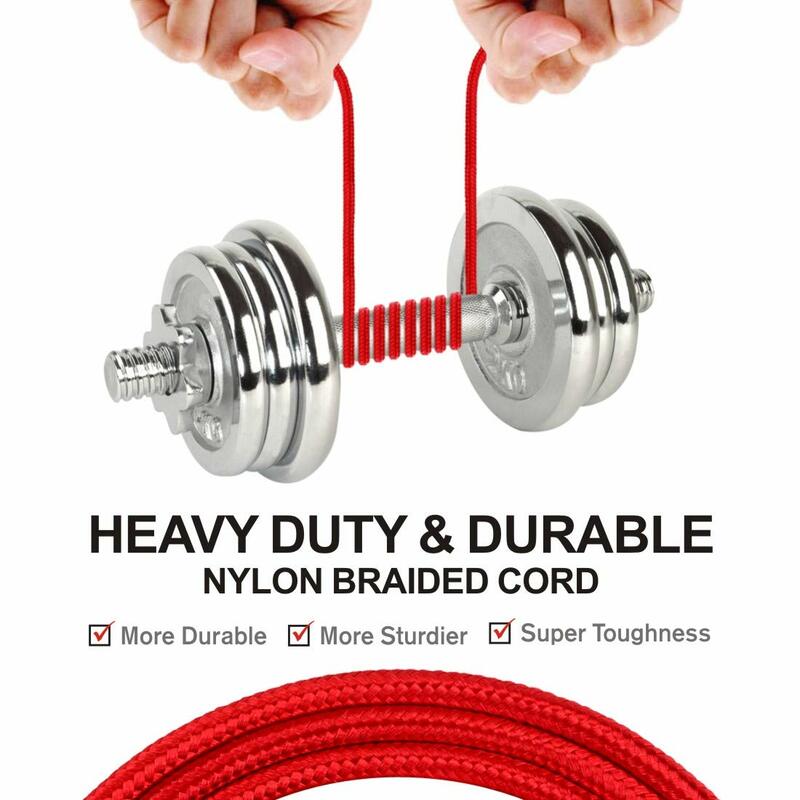 ● Cleefun adds the strong military fiberwhich can bear 10000+bending test, protect the joint of cord. ● Cleefun connector with premium aluminumhousing,seamless molded joint provide reliable conductivity and stability. 1.Pls confirm your mobile phone (other recharged devices ) accept fast charging protocol. 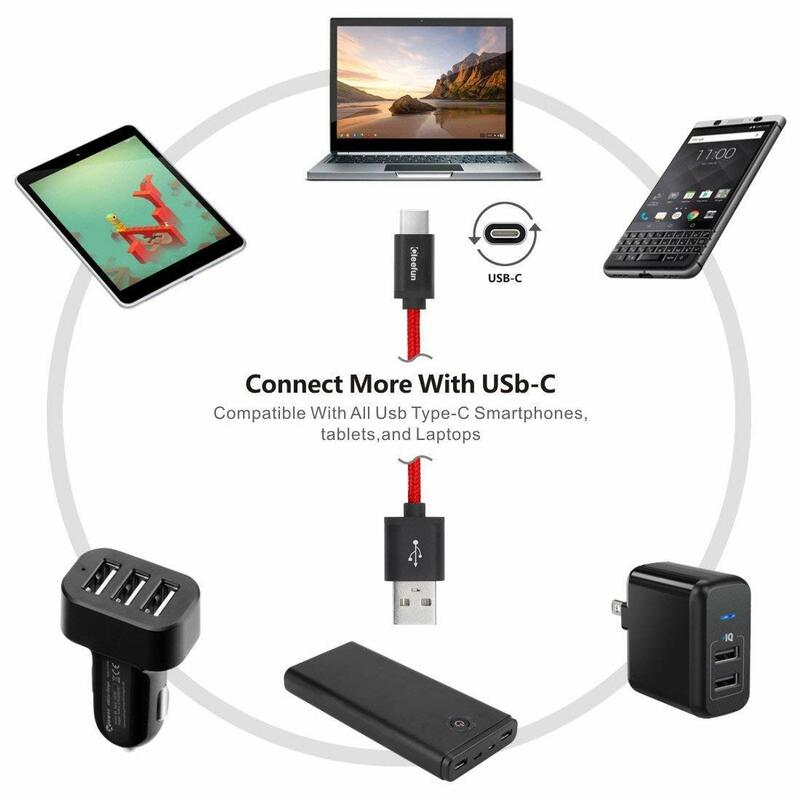 2.Pls ensure the USB adapter (mobile phone adapter) can provide fast charging-DC9V, 1.67A standard.